This article is published as Ranalli, J. 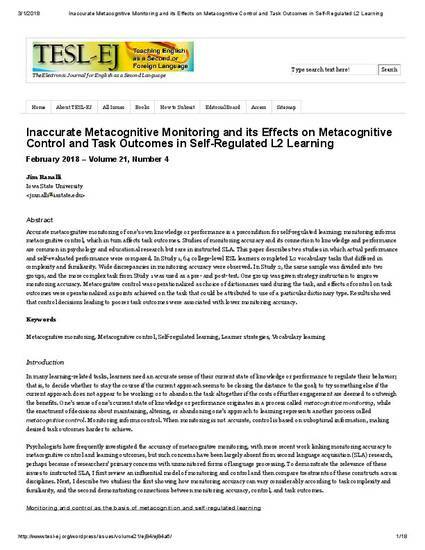 (2018) Inaccurate metacognitive monitoring and its effects on metacognitive control and task outcomes in self-regulated L2 learning. TESL-EJ 21.8.